Wooden floors are one of the common options in most homes. These floors require regular care as well as improvement. Dust free floor sanding is considered among the best choices for maintaining the beautiful look of your house. Here are benefits of dust free sanding and why you should be using it today or for your next DIY project! Refinishing hardwood floors does not require much time or a lot of labour work. The process normally takes less than one day. Unlike other traditional options on the market, sanding is preferred because of being time-saving. When hiring or buying a dust free floor sander, it is recommended you are receiving the equipment from a professional company. While hiring the services of the dust-free sanding company, ensure that you look at the experience and knowledge of the technicians. It is not mandatory dig deeper into your pocket in order to refinish your floor. Dust Free Floor Sanding is not expensive compared to the full-blown process. Full blow process entails stripping the entire floor in order to give it a new look. 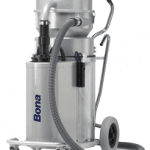 You can restore the look of your property using this process to save a lot of money, especially with our very affordable prices in hiring our Bona dust free floor sander. This type of flooring can be used in many different areas. Ensuring your job remains dust free is ideal for homes for pets, kids and persons with different health-related complications. For instance, if you are suffering diseases such as asthma then this is the best option for your home. Dust free flooring sanding can be used to improve the look of your home. This form of flooring is not only unique but also beautiful. Homeowners who want to transform their property should absolutely opt for this flooring type. Maintaining these floors is easy compared to other types out there. The floors do not require much attention hence you will not strive in order to protect your floor over years. While installing a floor on your property, durability is among the many aspects to take into account. Dust free sanding floors will last for decades. In simple terms, you will not spend much money in the name of installing another floor any soon once you choose this type of floor sanding. If you’re looking for a more visual representation of what dust free floor sanding is like, take a peek at this video! In conclusion, it is possible to renovate your floor without leaving behind any form of dust. It is recommended to hire services of continuous belt machinery if you would like to get virtually dust free floors upon the completion of your project. Dust free sanding is preferred because it is affordable, safe and easy to install compared to different options out there. Before you embark on flooring your house, you should look at this option. The high number of homeowners who are dust free sand flooring their homes shows that it is worth the price. We are your go-to experienced and reputable company when it comes to high-quality services in floor sanding. We hope you found some insightful information in this article and that you take advantage today of transforming your home with our professional flooring services.